The SEBO FELIX is designed to be suitable for all floor types – even the most delicate floor surfaces. A swivel neck lets you manoeuvre around obstacles with ease and the handle height can be adjusted for comfort. Variable power lets you choose the optimum level of suction and each machine features a detachable power head you can remove at the push of a button for in car cleaning, stairs or those hard to reach areas. High performance motors and efficient air flow design combine to give outstanding cleaning results - which is why SEBO regularly comes top in independent tests. Other practical features include a removable cassette style brush roller and an L-shaped head that can clean under radiators and the ability to clean lying flat to the floor for maximum cleaning efficiency under low furniture. 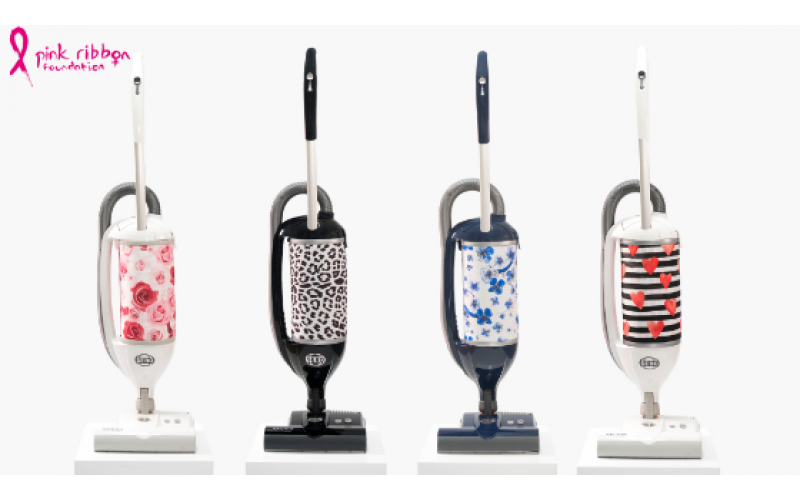 The new FELIX Contemporary Range comes in four unique designs – FELIX Wild, FELIX Oriental, FELIX Heart, plus the FELIX Rose with the design created to help raise funds for The Pink Ribbon Foundation (25% of all FELIX Rose profits will be donated by SEBO (UK) Ltd). To find out more about SEBO and the new Contemporary Range, follow us on Social Media, @SEBO_UK https://www.instagram.com/sebo_uk/ and Facebook @SEBOUKLtd https://www.facebook.com/SEBOUKLtd/ visit the website or contact our customer service team on 01494 465533.